While the cool spring weather to date has resulted in a rather slow migration for many species, we have been absolutely inundated with Orioles. I always put out a jelly and orange feeder in May, and I always get one or two Baltimore Orioles that show up, but we had as many as 15 orioles in our yard this past week! 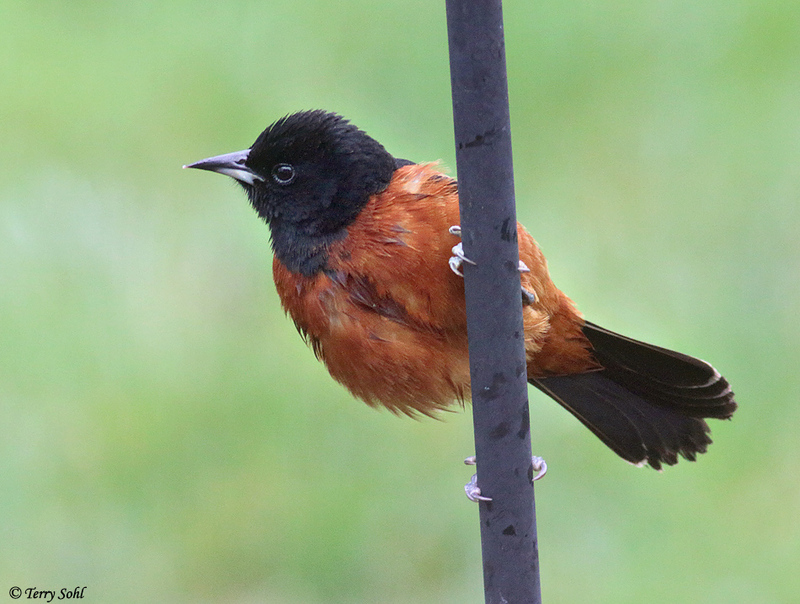 That included many Baltimore Orioles, but it also included the first Orchard Orioles we've had in our yard. They definitely are second in the pecking order for accessing the jelly feeder, as they defer to their larger cousins, but it's been wonderful seeing a new "yard bird" over the last several days.